Alun started out with the Newcastle United youth squad, and although he joined the first team squad in October 1993, failed to make an appearance for the Toon. He joined Stockport County in June 1994, who paid £50,000 for the promising young striker, scoring on his debut. In his four years with Stockport, he knocked in 62 goals in 200 games before Middlesbrough bought him to the Riverside Stadium in February 1998 for £1.6m. His debut against rivals Sunderland saw him score in their 3-1 win and help the club gain promotion to the Premiership. With his appearances in the Premiership being limited, he was sent out on an end of season loan to Huddersfield Town in March 2000. In December that year, he joined Premiership side Ipswich Town for £500,000 and scored twice in his return to the Riverside Stadium. He scored 19 times in 94 games for the Tractor Boys, before going on loan to Bradford City in December 2003 for a three month period. 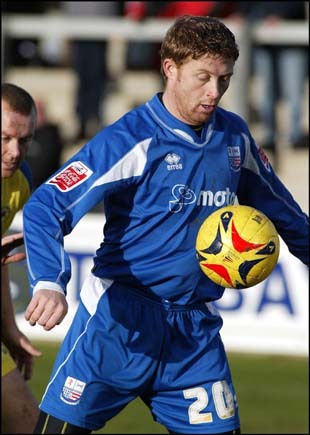 In September 2004, he returned north to join Darlington on a free transfer. From Darlington, he joined Diamonds on 21 October 2005 on a monthly contract, making his debut as a substitute against Barnet the following week. There were initial concerns over his fitness, but he spent three months at Nene Park. He was sent off in his final game against Bristol Rovers in January 2006 earning a three match suspension and was immediately released. 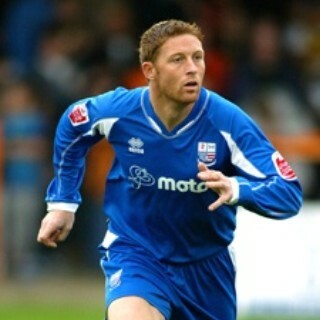 After his departure, he played for Doncaster Rovers, then returned to Darlington for the 2006/07 season. During the summer of 2007, he decided to concentrate on his property business in the North-East, and experienced part-time football with Newcastle Blue Star of the Unibond Division One North. He left prior to the club folding in June 2009. He set up a soccer school in Tyneside and in July 2010, was involved in coaching sessions at Grayfields Sports Centre in Hartlepool, helping to integrate people back into society. He is now the manager of Blyth Spartans after taking charge in 2016.